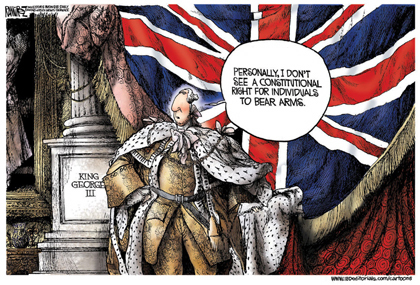 The Second Amendment was written BECAUSE King George denied the right to bear arms so now the lower courts in the DC case are taking Georgie's place. Here's rooting for SCOTUS ! YoU CaN't MaKe tHiS StUff Up - AIKEN, S.C. — A bank teller had a million reasons to deny this transaction. 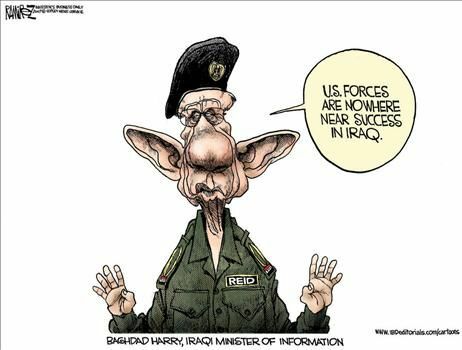 Hapless Harry - remember Hussein's Minister for Information stating before the camera that, "the Americans were not in Baghdad, " as a US tank appeared behind him ? He and Reid must have gone to the same public relations school. Their motto, " tell it like you want , never tell it like it is! " YoU CaN't MaKe tHiS StUff Up - ROYAL OAK, Mich. — A teenager worried about coming in past curfew did his best Santa Claus and headed down the chimney. Unfortunately, he didn't slide down quite as well as St. Nick. 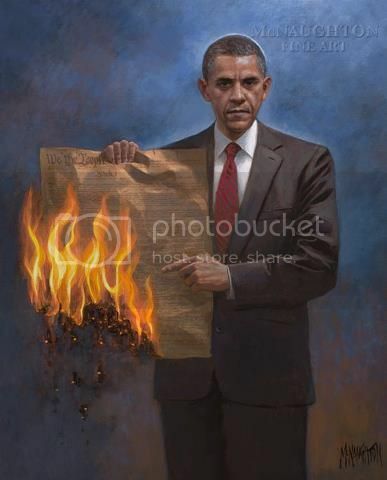 Ever notice that Democrats always see success and progress as a reason for change ? YoU CaN't MaKe tHiS StUff Up - TOWN OF MENASHA, Wis. — Something unsavory is staining siding, sidewalks and patios here, and residents suspect it's something in the air. Authorities got reports last week of many spots and clumps found along a flight path for the Outagamie County Regional Airport in nearby Greenville, said police Lt. Mike Krueger. "It looks like somebody released the holding tank for their septic and that fluid was dropped through that section of neighborhood, and it stains," Krueger said. Resident Kate McQuillan said, "Something definitely got sprayed all over." All I can say to the Hildabeast is, " if you can't take the heat get out of the kitchen !" 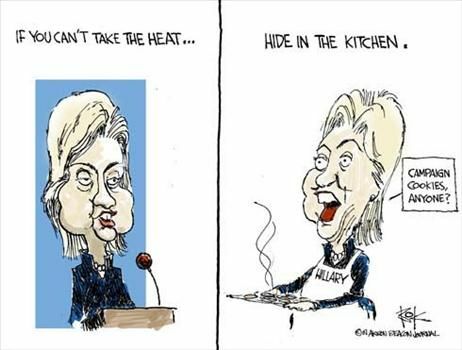 I LOVE the Cartoon of getting Hillary OUT of the kitchen. Those cookies might be poisoned!! On the day that guns are outlawed I will be breaking a law and so will thousands upon thousands of other people. Let's hope it never comes to that! 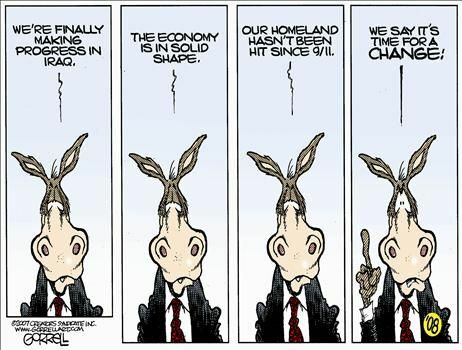 I love all 3 cartoons, especially the donkey one for "change", LOL!